I think one of the best things about this sewalong is finding new awesome blogs, however, have I been seriously hiding under a rock or something!? Don't ask me why I haven't been reading Stumbles & Stitches before now! Jeez louise! Jenny is the person that can do it all! She's got hopes and dreams and in the meantime is really content at raising up her boys and sewing cute stuff for her shop! Stumbles & Stitches is currently hosting Christmas in July and I'm loving all the Christmas inspiration! However, today, I've got a personal favorite thus far. 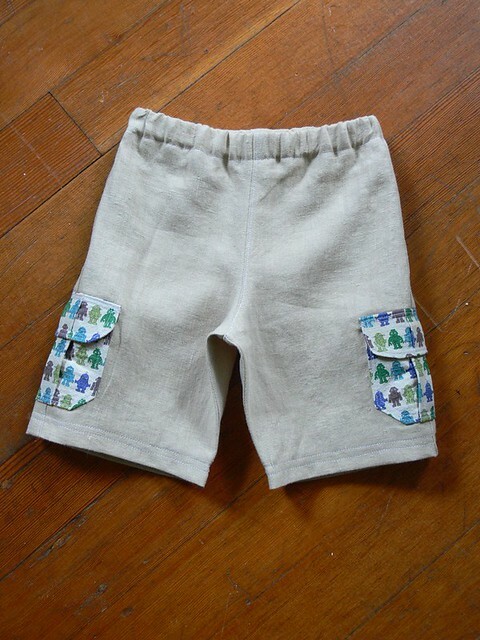 You're going to go crazy over these boy shorts! Welcome, Jenny! 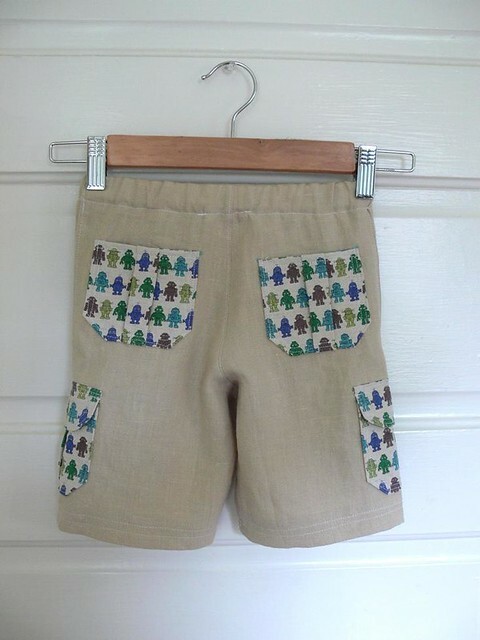 Hello, lovers of shorts everywhere! Thank you Vanessa for having me on your blog today, it's nice to "meet" you. 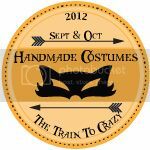 I'm Jenny Bartoy, one half of the blog team on Stumbles & Stitches and the one-woman-show behind Jenny Bartoy ~ Handmade Designs. 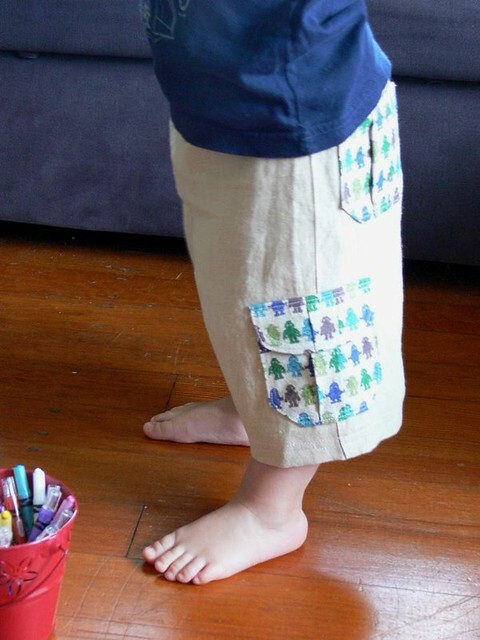 When my friend Rachael asked me to participate in the Shorts On the Line sew-along, I immediately knew I wanted to make some shorts for one of my two boys. Summer is only here for about 2 months in Seattle, it's nice to celebrate the arrival of sunshine and warmth by having one special thing to wear! 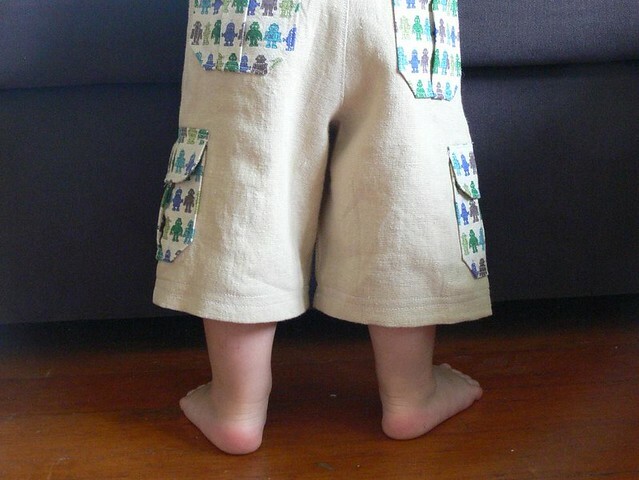 Rachael sent me the pattern for Bermuda Shorts by Hot Scott Patterns to try out and review, so I made some for my 19-month-old Henry! 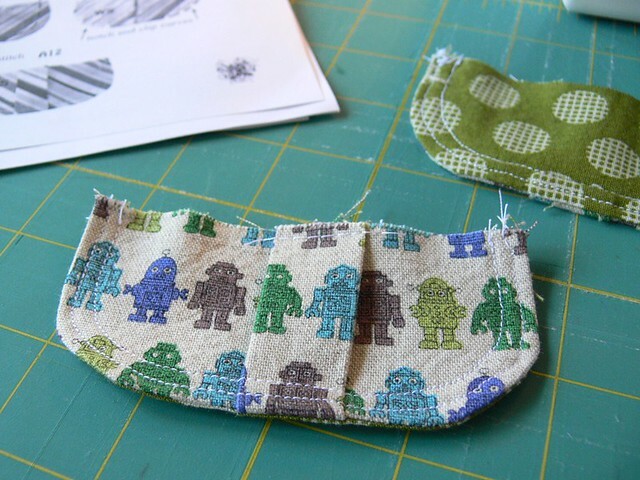 I used linen from my stash: Tiny Robot Friends by Kokka (bought from my local fabric store a couple of years ago) and a warm solid beige (from Joann's, I think). The only other notion needed was elastic! 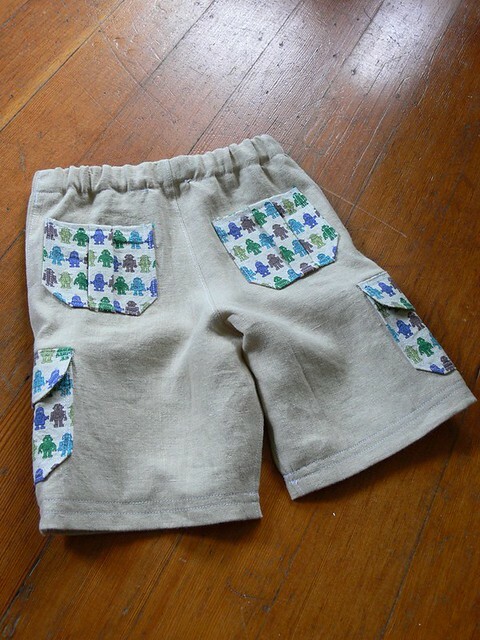 The pattern comes with instructions for piecing patchwork to use as "fabric" for the shorts, but I skipped that. 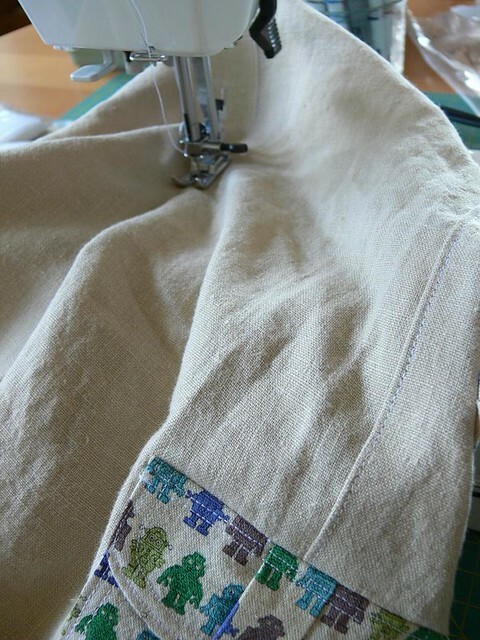 It also assumes you may have a serger, though regular machine directions are provided as well. 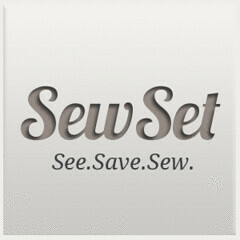 (I just have a plain and simple sewing machine.) 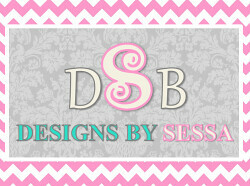 Sizes range from 9m to 10. 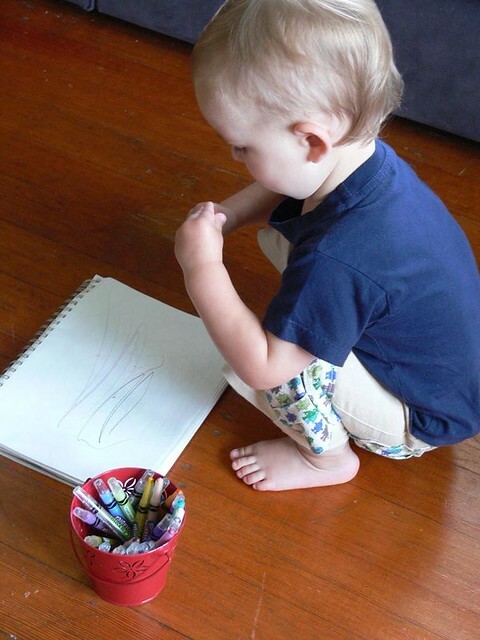 I traced the pattern pieces in size 2T: 2 front leg pieces, 2 back leg pieces, 4 pockets and 2 flaps. . I should warn you here that I strongly dislike working with clothing patterns. That's probably why I rarely make clothing and usually wing it (rather unsuccessfully). 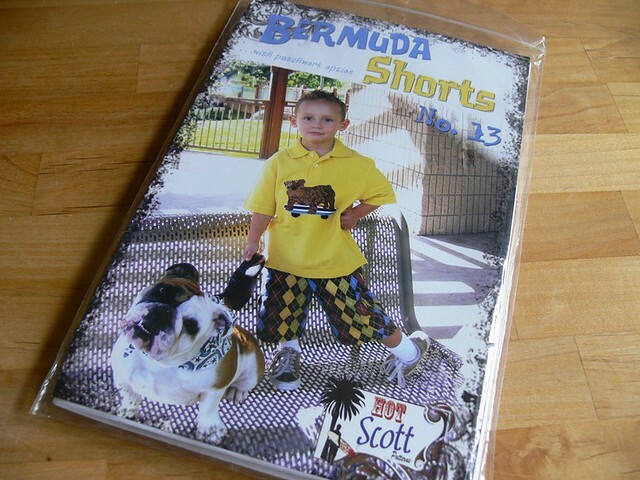 So I grumbled a bit at the wordy instructions in the Bermuda Shorts pattern booklet. However... I am a very visual person who enjoys things like IKEA furniture assembly directions, so I sighed with relief when I saw the super detailed photos included along every page of instructions in the pattern! I mostly followed those, using the written directions for confirmation and extra details. It worked out great! This is one thorough pattern! Nothing is left to chance or question, I love that! I also love that everything is very neat and methodical with thoughtful finishing throughout. 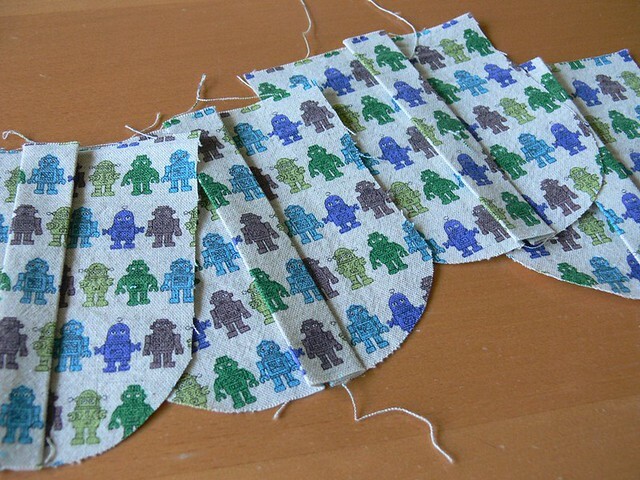 Lots of top-stitching! 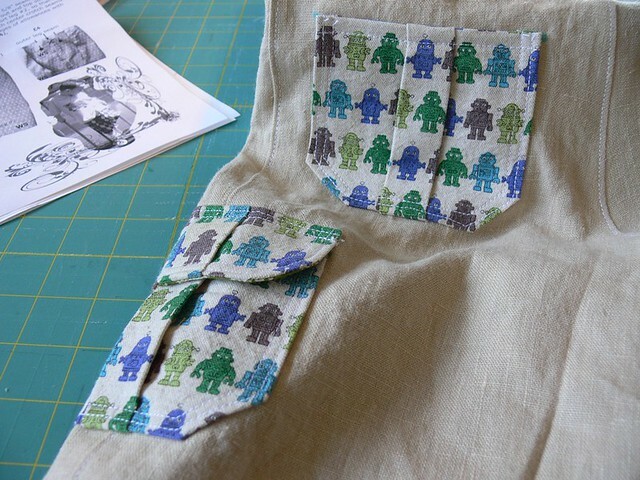 You should be able to rock this pattern with an intermediate sewing level, maybe even confident beginner. I made one modification -- I lined the back of the pocket flaps with a different fabric and kept it flat instead of pleating it. 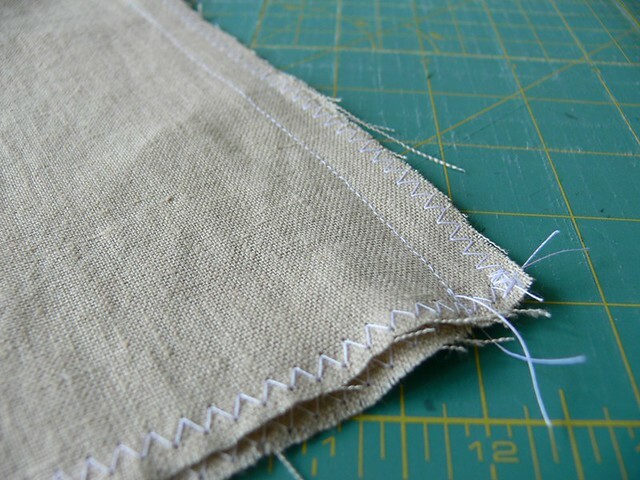 I thought adding a layer of pleated linen to the back would create too much bulk. (You can see this modification in one of the above photos.) 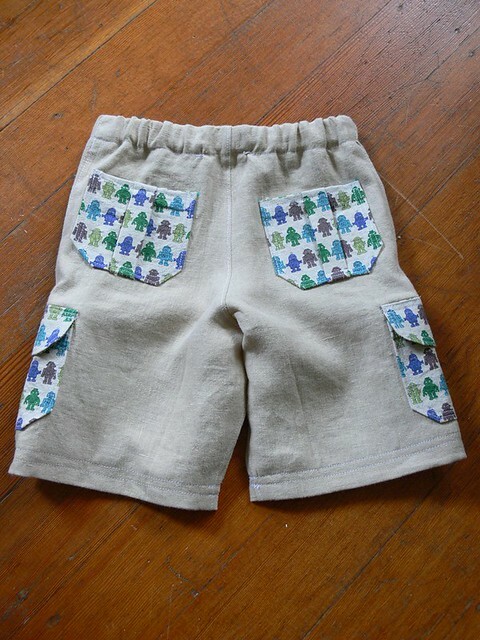 I am so happy I made these shorts! 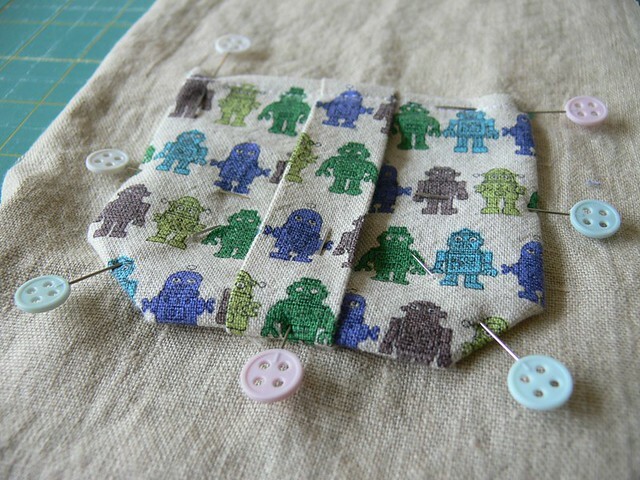 I'm already thinking of different fabric combos to make more for Henry and for his big brother Ben too. I definitely recommend this pattern and might try out some other Hot Scott Patterns now that I know their style and polished results. Henry was so thrilled with his new shorts and wanted to try them on right away! He proceeded to excitedly run around the house which made photographing my little model a tad difficult (sorry for the blurry!). 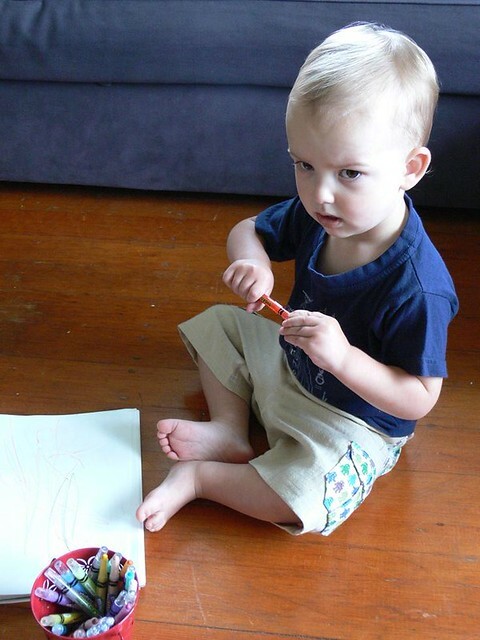 Frowning boy is not grumpy, just concentrating real hard on removing the crayon from its case... The fit is great, and they seem to feel super comfy. I deliberately left the elastic a tiny bit loose, hoping they fit him again next summer, when he no longer wears the bulky big-bottom cloth diapers. Fingers crossed! In the meantime, we'll try to get as much wear out of these as we can before clouds and cold return to Seattle. 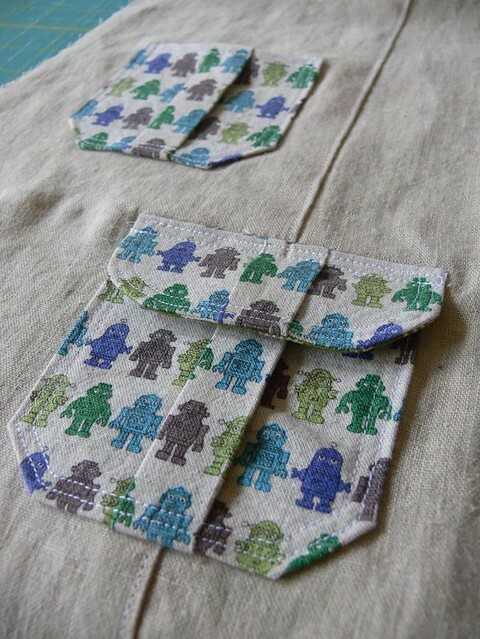 I'm so excited to have added a mama-made item to my little dude's wardrobe. 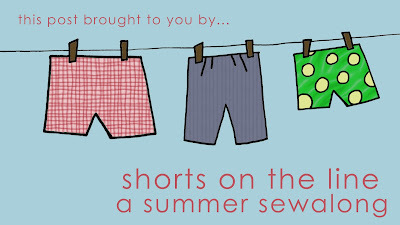 Thanks Vanessa, Rachael and Carla for inviting me to participate in the Shorts on the Line sew-along! 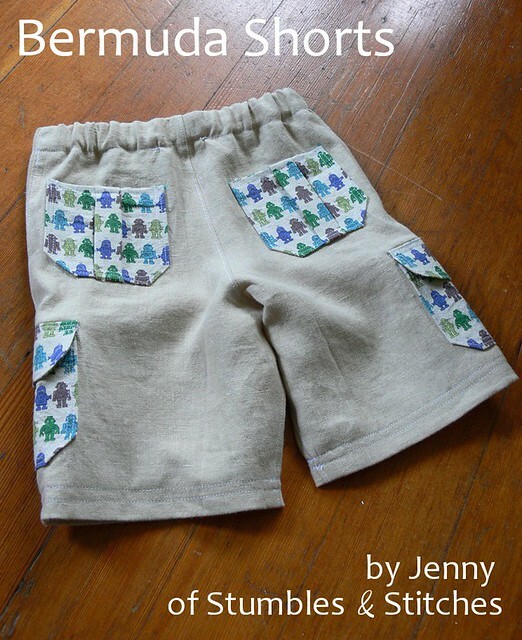 Jenny, those are so adorable! 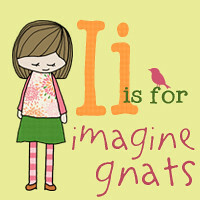 I want to make some for my little guy! 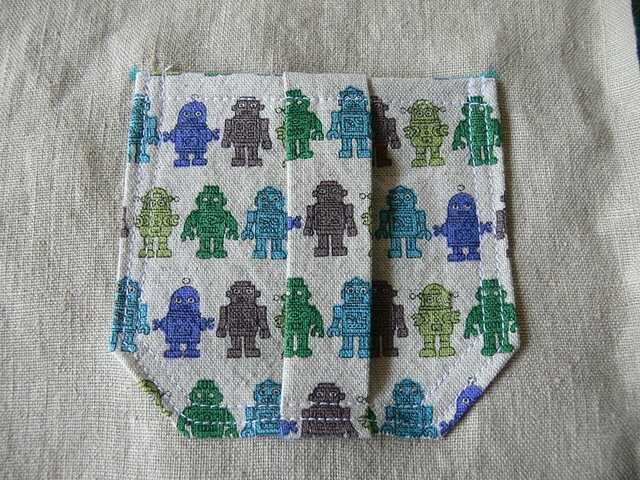 I love how the fabrics coordinate so well together and the robots are just too cute! It was very nice to "meet" you, too! Hope we continue this bloggy friendship, for sure!